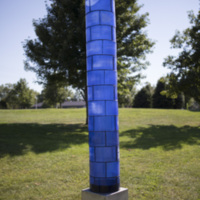 Mark Abildgaard, “Blue Light Column,” Art Oneida, accessed April 20, 2019, http://artoneida.org/art/items/show/292. 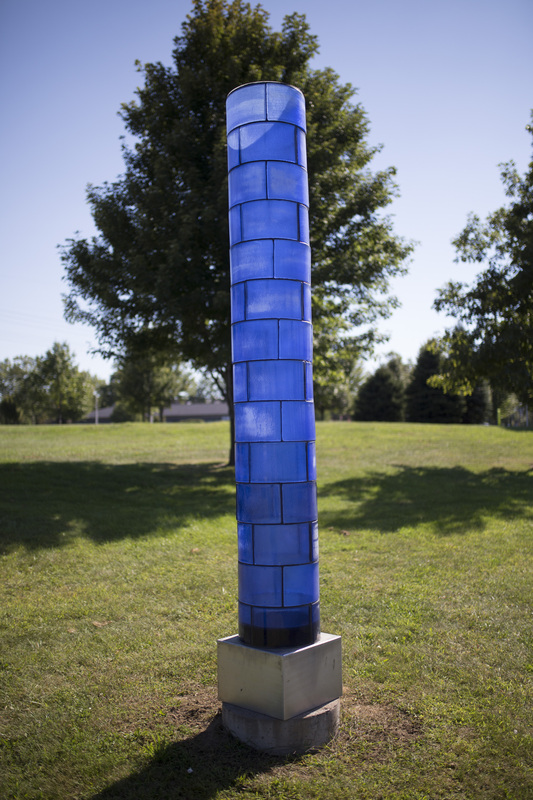 Glass blocks form each column, and standing tall at 10 feet to prominently mark corners of the trails. At night, the columns glow with the light from LED light fixtures placed in each base. A stainless steel box houses the LED light fixture in the base for each column. 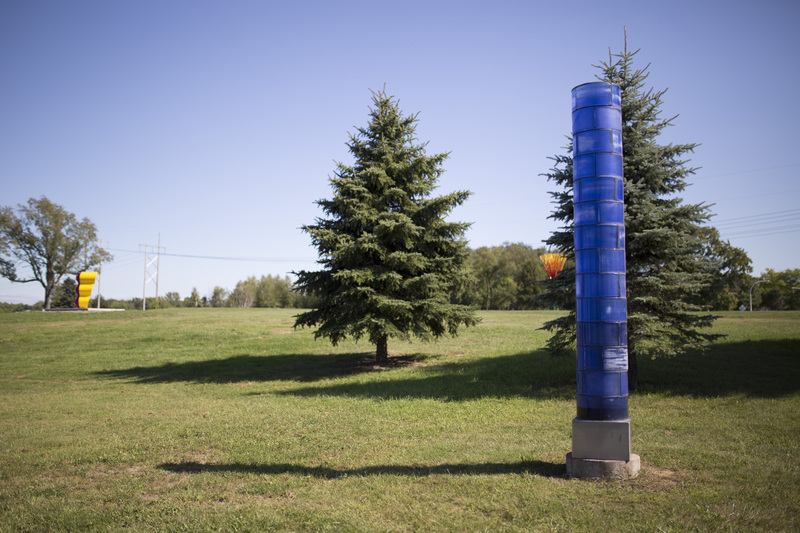 Each column is also enclosed, with a clear panel on the top. 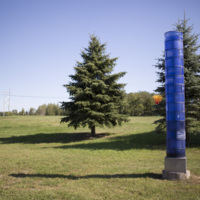 The artist, Mark Abildgaard, lives in Woodland, CA. He was in residence at Sculpture Space in 1985.